evergreen | Terri Long Landscape Design, Inc.
As I look out my window, the snow is melting in Asheville. This is the second year in a row with unusually cold temperatures and high snowfall. With or without snow, winter is an excellent time to really see the bones of your garden. Is it interesting or barren? Do you have focal points both from inside and looking at your house? Are you pleased by the views from inside your house? Perhaps you see birds and squirrels feeding on the nuts, seeds and berries of your trees and shrubs. Or maybe you see areas that are okay in other seasons but now that the plants have dropped their leaves, you find yourself exposed to your neighbors or unsightly views. Would you like to see more color? Evergreen plants come in various shades of green, blue, yellow and burgundy. You may have shrub beds and natural areas that you’d like to see a carpet of evergreen groundcovers. You can also add color with berries and colored stems. 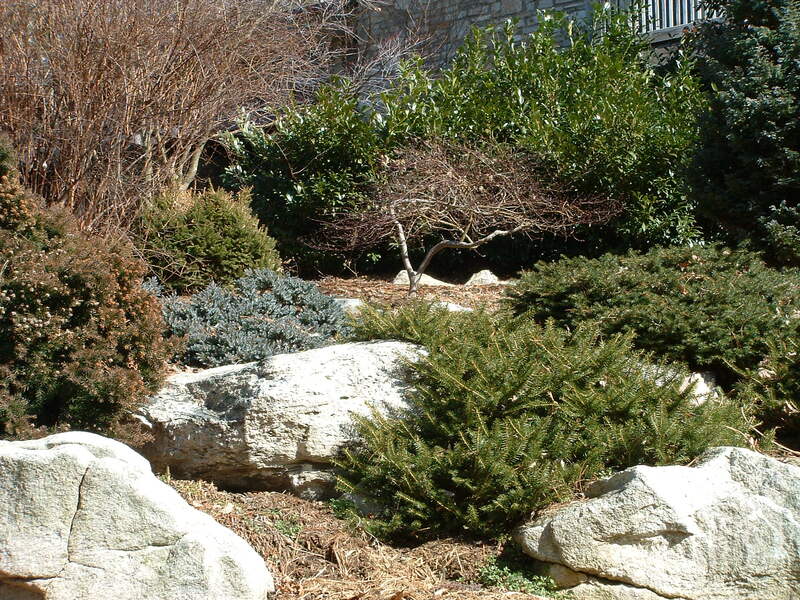 Imagine a shrub with bright red berries accentuated by the recent snow or evergreen groundcover. Berries can be a good food source for winter birds. Do you want plants to cut and use for holiday decorations or to bring in to brighten a winter day with the promise of spring to come. Do any of your trees and shrubs have interesting bark, texture and form? 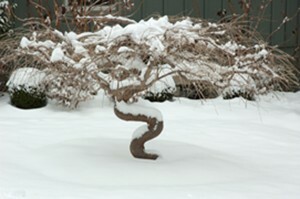 Many perennials also provide structure in the winter garden and also provide food for birds. You can start the process of improving your winter garden by getting out your camera and shooting photographs of both interesting views and problem areas. This is the first step to having your dream garden – one that enriches your life all year long. For more information or to schedule a meeting, please call at 828.299.2399. This entry was posted in Winter Landscapes and tagged berries, birds, evergreen, garden, winter interest on January 16, 2011 by Terri Long.